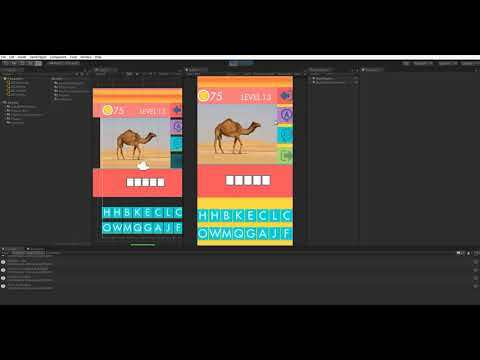 -Google Mobile Ads:In Unity Editor ,Assets->Picture Quiz->Scenes->Select “MainGame” Scene-> Hierarchy ->Select “Admob” object ->Changeyour admod banner,instertialid ->Done! In projects: Admob banner show smart banner in top scene, Insterstitial show when Next Puzzle and lose;-Unity Ads: In In Unity Editor , Assets->Picture Quiz->Scenes->Select “MainGame” Scene -> Hierarchy ->Select “UnityAds” object ->Changeyour UnityAdsid ->Done! -Rate : Unity Editor , Assets->Picture Quiz->Scenes->Select “MainGame” Scene -> Hierarchy ->Select “RateGame” object->Insert your url game for rate! -Share : Unity Editor , Assets->Picture Quiz->Scenes->Select “MainGame” Scene -> Hierarchy ->Select “ShareGame” object->Insert your url game for share!